No synopsis, no problem. Feast your eyes on these intense and curious series of photos released by the CW for the season two premiere of The Flash, "The Man Who Saved Central City." We don't know what's going on, but the debut episode features Firestorm, Atom Smasher, Captain Cold, Heat Wave, as well as Team Flash. 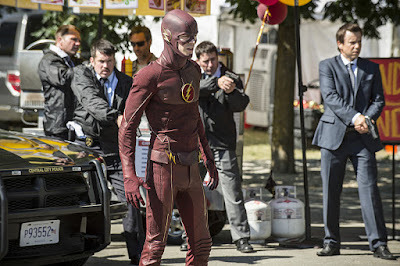 It promises to be an exciting start to a new season that will also include Jay Garrick and Zoom. Check out the gallery presented with a little music from Nu Shooz because "I Can't Wait." 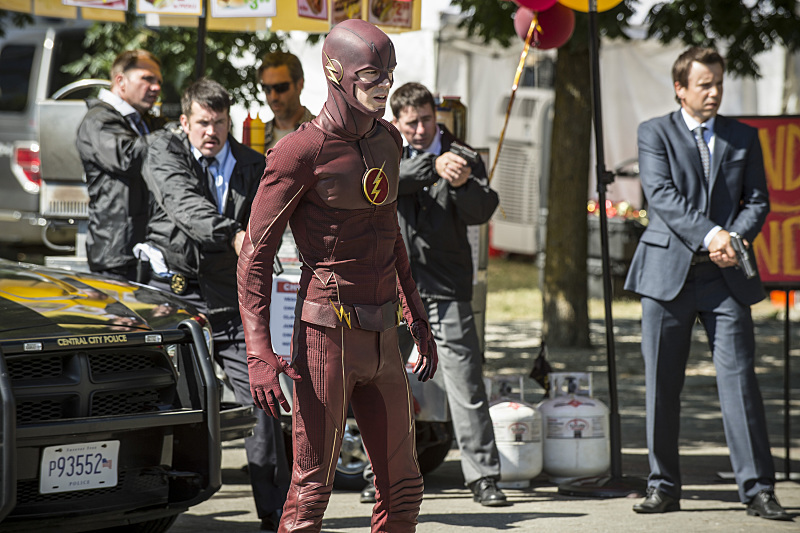 The Flash returns on October 6 at 8 p.m. ET/PT on The CW. BARRY DECIDES HE NEEDS TO PROTECT THE CITY ON HIS OWN — Picking up months after the Singularity attacked Central City, Barry (Grant Gustin) is still struggling to forgive himself for Eddie’s death. Concerned about putting his friends in danger, Barry has pushed everyone away and has chosen to protect the city on his own. When a meta-human named Atom Smasher (guest star Adam Copeland) attacks the city, Iris (Candice Patton) tells Barry that he needs to let his friends help him protect the citizens of Central City. Meanwhile, Cisco (Carlos Valdes) helps Joe (Jesse L. Martin) with his Meta Task Force. Ralph Hemecker directed the episode with story by Greg Berlanti & Andrew Kreisberg and teleplay by Andrew Kreisberg & Gabrielle Stanton (#201).